Right after reading Quantum Space, I picked up Quantum Void. The characters were so fresh in my mind that I went right from Book 1 to the sequel. The reader is back with Daniel Rice, the White House science staffer who has become a national science celebrity due to his front-line dealings with Core, the alien cyborg technology we got to know in Quantum Space. 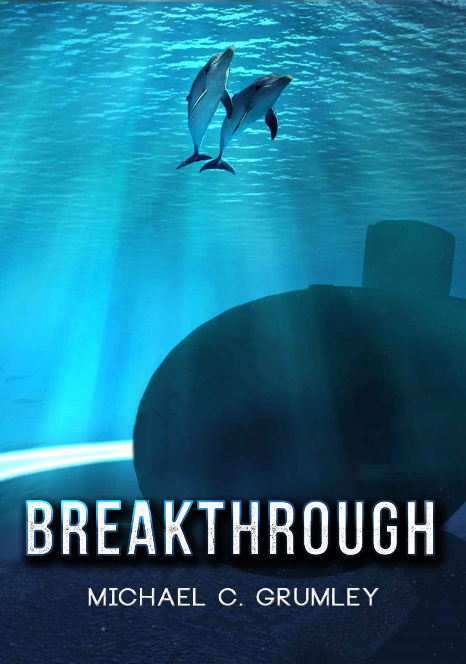 With us also is Nala Pasquier, one of the world’s foremost particle physicists, and Marie Kendrick, the NASA scientist come alien technology specialist. The book is divided into two main sections. First we follow four humans traveling to an alien planet 350 light years away and making first contact with the two alien intelligent species living there. To do that, they use space compression achieved by creating four-dimensional “bubbles” which, as a side effect, compress three-dimensional space. This technology makes space travel obsolete. “Beam me up, Scotty” has become reality. The second part of the book deals with Nala and her colleague Thomas being involved in a major science accident at Fermilab. The two get “sucked” into a four-dimensional vortex and find themselves alive and well, kind of, on the “other side.” Now they have to figure out how to get back. Quantum Void does a great job with its “first contact” with aliens story. Here are, for a change, truly alien aliens, and at least to me that makes the story seem real and plausible. I can overlook the unlikeliness that the aliens manage to give Marie a device that puts images into her brain. How did the aliens figure out how human brains work and how they could interface to them? 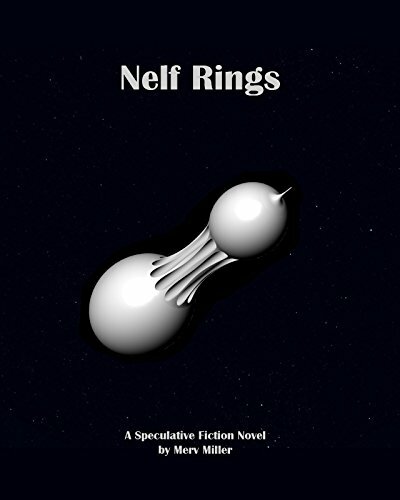 It reminded me of Nelf Rings, a story with a similar alien artifact that does magic to human brains. But well, it’s science fiction, isn’t it? I truly enjoyed the illustrations of what three-dimensional space would look like from the 4th dimension. There were some stretches that seemed a bit far-fetched, like pealing three-dimensional objects out of three-dimensional space, their primary way to get food and supplies when they needed it. But the writing of messages on three-dimensional objects using a pen from the 4th dimension was described brilliantly. I realize, as I write this review, you must think I am nuts that I enjoy spending my time reading this crazy stuff. It sure sounds crazy when you read this review, doesn’t it, four-dimensional bagels and all. But to this time-travel nut and 4th dimension connoisseur, it’s pure joy. So I now wait for Quantum Time, Book 3 in the series. (I just realized I missed Book 0). Hurry up and write, Douglas. Three astronauts, two Russians and one American, are leaving the International Space Station in a Soyuz capsule. They spent months in orbit and all three are glad to be able to return home. All goes according to plan, until a minute or two after the capsule enters the top of the atmosphere, it vanishes. Ground based radar loses contact. To an observer, the contrail streaking across the Kazakhstan sky ends abruptly with a flash of light. Neither the Russian space agency nor NASA have any idea what happened. Dr. Daniel Rice, one of the staffers to the White House science advisor, is called to investigate what might have happened. Fermilab, the facility in Illinois where quarks were discovered, seems to have the technology and scientists who might have insight into the phenomenon, so that’s where the investigation starts. Daniel discovers a world of high-tech, quantum physics, and, most important of all, the 4th dimension. He is racing against the clock since he knows that the Soyuz capsule’s life support can’t keep three humans alive and breathing for much longer than a day. But government bureaucracy and corporate greed cause obstructions and challenges. In his quest to save three humans, he encounters a world way beyond his wildest expectations. I like solid science fiction stories, where the science is big, the fiction is credible and plausible, and fantasy is kept to a minimum. The 4th dimension plays a huge, crucial role in the plot of Quantum Space. I have been fascinated with the 4th dimension all my life. As a youth, I read about Hinton’s cubes in a quest to understand the 4th dimension, to comprehend it. I have collected and read a variety of books on the subject, from Abbott’s Flatland, all the way to artsy coffee table books like Fourfield. A tesseract is a four-dimensional cube. My readers with a mathematical or physical background will immediately know what a tesseract is and will have certainly marveled at what one would look like. Others that have not encountered this strange and wondrous object will probably have a hard time even understanding what it might be. I am of the first kind, and I have even written code, projecting a tesseract into three dimensions and projecting that onto a two-dimensional computer screen, in an effort to visualize it. I rotated the tesseract over its four different axes so it’s easier to visualize what such an object would look like. Since all graphics software renders only in three dimensions, I could not use off-the-shelf software and had to write my own transformation matrices implementing the 4th dimension to accomplish the task. Why am I telling you all this in a book review? Because you have to have thought about the 4th dimension and you have to be fascinated with it to understand and appreciate the book. Douglas Phillips gets it and with Quantum Space he wrote the book that I have always wanted to read. He says on his website that he is writing the books he has wanted to read but didn’t find. What a great motivation! Well, Douglas, you found a kindred spirit here, and I thoroughly enjoyed Quantum Space. About a year ago I read A Time Before Time, and I said it was the worst book I had ever read. But Mission in Time is definitely worse. Usually I don’t rate books I don’t finish reading, just to be fair, but this one gets a zero, even though I didn’t get past 25% into the book. By that time, I could not stand it anymore. A Time Before Time was a time travel book where an astronaut, due to an accident, ends up landing in the Wild West. Mission in Time is a time travel book where two astronauts, due to a malfunction, end up landing off the coast of Massachusetts in 1774. Do those two plots sound similar? Mission in Time is really bad for other reasons than A Time Before Time, so it warrants discussion here. 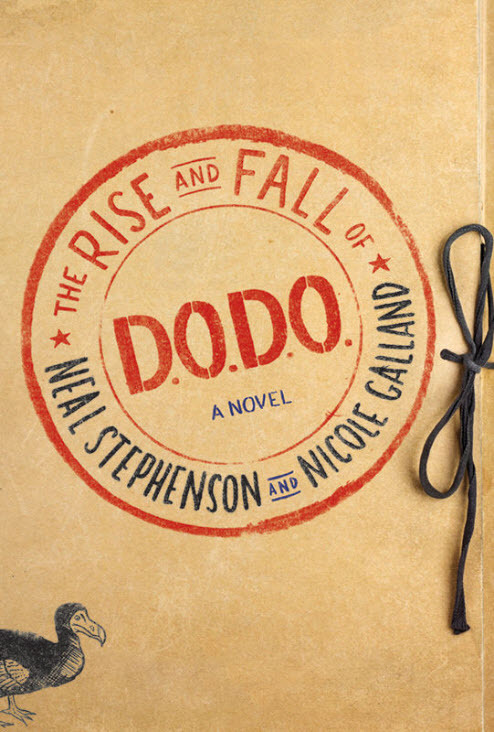 The author places two 21st century astronauts into a credible setting just before the revolutionary war in Massachusetts. The story is about how a person with knowledge and experience of today would be able to modify the outcome of the historic events of those days. 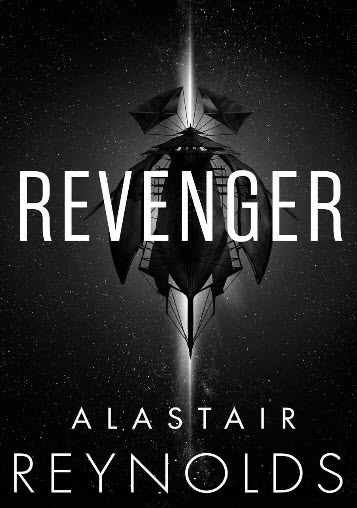 Since I didn’t read past 25%, I actually don’t know how it ends, and whether the two hapless astronauts ever make it back. I don’t really care enough about them to find out and keep reading. There are actually a number of excellent and very entertaining time travel stories in which the protagonists end up in the 19th century. Examples are John A. Heldt’s books The Mine and The Show. There is also Hollie Van Horne’s Reflections of Toddsville. Another is Seldon Edwards’ The Little Book. And of course the classic Time and Again and From Time to Time by Jack Finney are probably some of the best in this genre. I gave both Finney books four stars. You should read them. In all these time travel books we experience how the protagonists get along in the past and enjoy their journeys. How they actually get there, and back again, is not all that important. It just happens through some fictional mechanism, and we accept it. 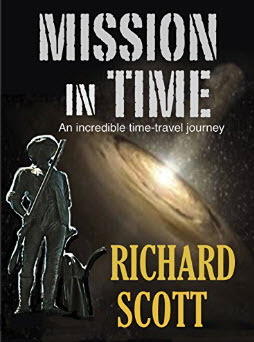 In Mission in Time however, Richard Scott spends the first five chapters of the book coming up with a “scientific” process that gets the astronauts displaced in time. And that’s where the problem lies. The “scientific” way is so flawed, so obviously silly, it’s distracting and insulting to the reader’s intelligence. The mission is to have the astronauts travel a couple of years into the future. To do that, they are sent on a spaceship away from earth, and the theory is that the closer to the speed of light they travel, the more they are displaced into the future. Any science fiction fan will know that time dilation theoretically makes that possible. As a ship approaches the speed of light, time slows down on the ship, and relative to the earth left behind, the occupants age more slowly. The “twin paradox” is described in many science fiction stories, and the result is that the travelers who come back have aged more slowly, so their counterparts on earth have aged faster and are therefore older. So yes, the concept to traveling some distance into the future is valid and somewhat plausible. However, in their trip, something goes wrong with the ship, and eventually the ship exceeds the speed of light. They were taught that if that happened, they would travel to the past, but since it had never been done before, they would not know how far into the past. This travel into the past, requiring a spaceship traveling faster than light, is a concept totally unfounded in physics. The author makes that up to explain how the astronauts eventually end up in the past. He could have just come up with a magic wand that transported them Harry Potter-style, the story would have been five chapters shorter, and actually much better. The reader would not have been distracted by the weird physics. Once free of gravity and the atmosphere, the neutrino accelerator took over. At first the weak propulsion of the neutrinos was negligible, but in outer space there is no atmosphere, which means no resistance. As the neutrino emissions continued, the ship gradually increased speed. Each second it was going faster than the previous second. After awhile we were really moving. When we’d been in space for about four months (Earth time) we were moving at 90 percent of the speed of light. As I’ve already explained, that was supposed to take us approximately two years into the future by the time we had returned to Earth. Scott, Richard. 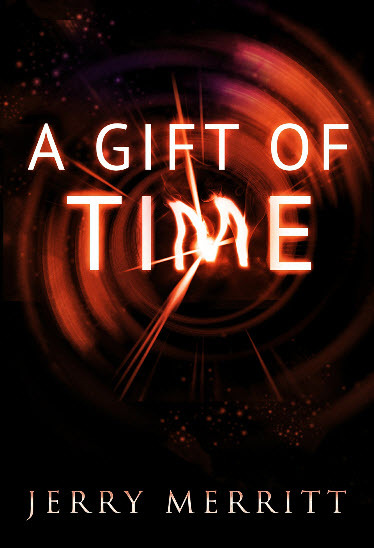 Mission in Time: An incredible time-travel journey (p. 26). Winter Island Press. Kindle Edition. Our cabin was about seven feet across and 12 feet from front to back. We could leave our seats, but because we were in space we couldn’t even walk in those 12 feet inside the cabin. We could float and pull ourselves about, which we did a lot, but that relatively confining cabin often felt more like a prison cell than the inside of a vehicle that was taking us somewhere to an unknown destination. Scott, Richard. Mission in Time: An incredible time-travel journey (p. 29). Winter Island Press. Kindle Edition. We were nearing the terminus ad quem and waiting for the side thrusters to go into action. We needed to come to almost a complete stop before the side thrusters were activated. Here’s what blew my mind as we neared that stopping point. At that spot in space we were approximately 1.4 light years from Earth. That’s 8.4 trillion miles. The human mind can’t deal with distances like that. We couldn’t see our Sun from where we were. Not with the naked eye anyway. To put things in perspective, after traveling 1.4 light years from home, we were still in our own galaxy, the Milky Way. Scott, Richard. Mission in Time: An incredible time-travel journey (pp. 26-27). Winter Island Press. Kindle Edition. There are so many things wrong here I can hardly list them all. First, he says they need to come to a complete stop in order to turn around. That spot in space was at 1.4 light years from Earth. If it took them 4 months to accelerate to light speed at 3g, to slow down to a complete stop and turn around and go back to Earth will take another 4 months at 3g acceleration, before they are stopped relative to Earth and can start going back, accelerating again to light speed for 4 months and decelerating again. Reading the author’s explanation sounds like the ship just stopped and the magic side thrusters turned it around to go back. Then he says they couldn’t see the Sun from where they were? Really? They were 1.4 light years out, that’s about a third of the way to Alpha Centauri. From that point in space, the sun would still be by far the brightest star in the sky. But then, in the section below he states they saw Alpha Centauri, the closest star to Earth, and it was the biggest of them all – even though then it was still 2.6 light years away. As we neared the final third of our trip back to Earth of an earlier time, we came closer than humans have ever come to many of the stars that I had seen through telescopes when I was younger. Off in the distance we saw an amazingly bright 61 Cygni, which is 11 light years from Earth, but appeared huge to us from our position in space. Again we saw a huge-looking Sirius, the brightest star in the sky when you’re looking at it from Earth. Then we saw Alpha Centauri, the closest star to Earth. To us, it was the biggest of them all. So 61 Cygni, 11 light years from Earth, was suddenly “huge” when they were 1.4 light years closer to it, that’s assuming 61 Cygni is anywhere near the direction of Alpha Centauri. Enough! You get the idea. The first five chapters of the book are full of nonsense like this that the author sounds like he is trying to pass off as physics. But it’s just that, nonsense. The author should have had the two men hit by lightning as they walked the streets of Boston on a summer night and transported them to 1774 that way. It would have been a much better story, and the author would have maintained some semblance of credibility. And I would not have written the longest book review ever about one of the worst books I have ever not finished reading. As I have done for pretty much all my life, when a new Star Wars movie comes out, I go see it within the first few days. It is a ritual, a rite, something I do, and I know it’s the same for many of my contemporaries. As usual with Star Wars, I can’t really follow the plot. There are always people who are on far-away planets who are needed for help with some impossible task and emissaries go to find those people. Then there are the mysterious telepathic connections between the Jedi and his disciples, which transcend time and space. Luke, who is the protagonist of this movie, is not very satisfying as a character. 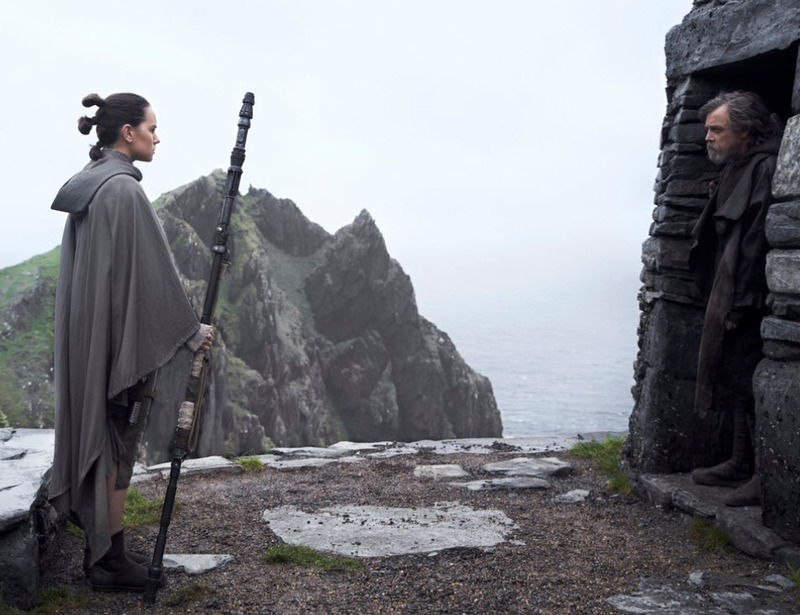 He is the last Jedi, but a burned-out one, a reluctant one, and a lot of the movie’s energy is spent on making Luke just do the right thing. To me, that is not much of a plot. My favorite and repeated complaint with Star Wars is about its disregard for physics. Spaceships don’t fly, they just wink in and out of ordinary space when they go into lightspeed seemingly without acceleration. Except when it’s the old Millennium Falcon, which seems to have superpowers and always flies like a fighter plane in the atmosphere, pulling tight curves, whether it’s in space or not. Fighters continue to fly like there is air, and orbital dynamics is completely ignored. My most enjoyable experience with Star Wars is usually its depiction of aliens in ordinary settings. I can think of the classic bar scenes that seem to be customary in all episodes. This time, there is only a short sequence in a casino, where there are a few aliens, but they are all humanoids. It seems the entire Star Wars galaxy has devolved into humans with head masks. I am sure that’s to make production cheap, but it’s trite and uninspiring to me. Why isn’t there ever a real alien that is part of the mainline plot? No, I don’t mean another Jar Jar Binks, who himself was nothing but a human in an amphibious suit. This episode does not tell much of a story and seems to exist only to set the stage for the sunsetting of the two characters most intimately associated with Star Wars: Luke Skywalker (played by Mark Hamill, of course) and Princess Lea (played for the last time by the late Carrie Fisher). We say our good byes to both of them, amid a story of fireballs of exploding ships, spaceships racing in tight spaces, comical droids, rubber-mask aliens, desert rust-bucket floater-ship races and a Wookie. There is nothing new in this episode. 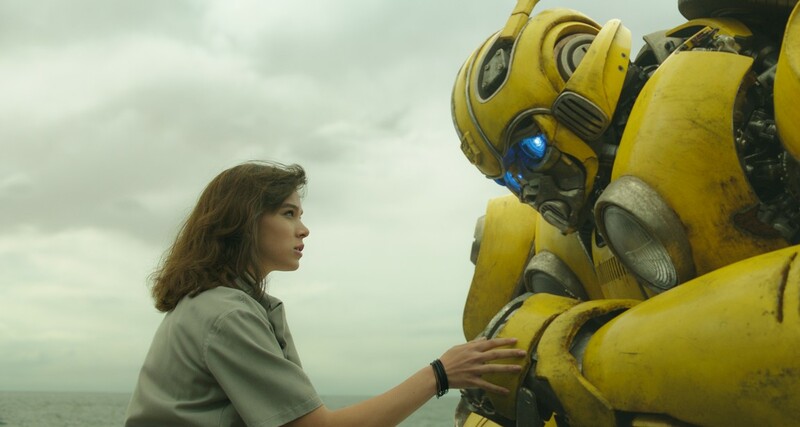 The franchise has run out of original ideas and every movie is just a collection of old concepts and special effects, rendered on a new stage, in a slightly different story between good and evil. True to Star Wars legacy, every conflict in the galaxy is eventually resolved by a swordfight between two humans. All the action stops, high-tech weaponry goes silent, armies of star troopers vanish, spaceships float inactively, the crescendo of the music rises, and the light sabers zap out of their handles. Plot resolved. Deus ex machina. Will I go see the next episode in a year or so? Tonight, flipping through the movies on Apple, and not finding anything good, we decided to watch Prometheus. It got a 72% on the tomatometer, so I thought it would not be too bad. Very quickly I found myself bored with the inane dialog, senseless plot and cardboard characters. I also recognized some scenes, so I thought I must have seen some of them flipping through channels in the past. However, true to my commitment to myself about reviewing every movie I watch, I persisted all the way through. Then I came to my computer, chose the half-star icon below and went to find a good picture to use for the review, when I noticed that there was already one titled Prometheus in my directory. Hmmm. Five seconds and a quick search later revealed that I had watched and reviewed this movie on June 4, 2014. Here is the result, one star that time. This movie is so bad that I had completely forgotten that I had watched it before, all the way through, and then wrote a full review about it. Or is it my memory that’s going.